Announcing the debut of Messenger, the free weekly webcomic by me and artist Ray Nadine! Messenger is a new series on LINE Webtoon, the cross-platform app which is also free to install on any of your various mobile devices! Ray and I have been working on this project for a while and we are very pleased to have it available to the world! For FREE! 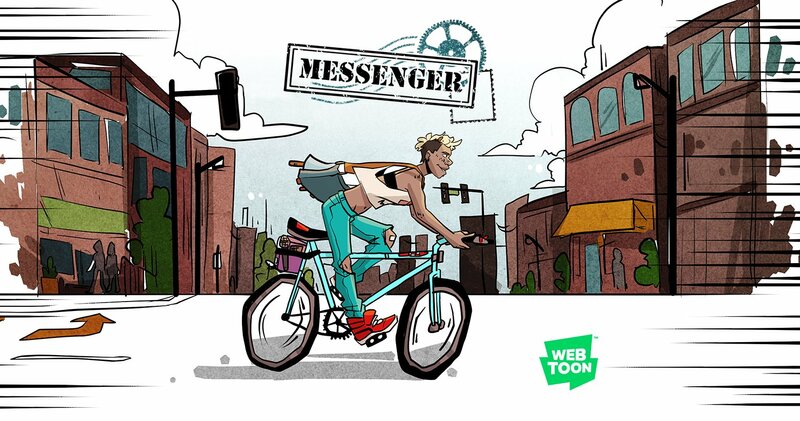 Messenger follows Dare Crilley, a bike messenger who is utterly unsurpassed. She scoffs at bad weather, traffic is barely an obstacle, and she’s never missed a delivery. That’s good, because Dare is about to discover her mysterious new client is literally divine, and that a dispute between the gods means the fate of the universe rests on a series of increasingly more difficult bicycle deliveries. Will Dare fail on any of these fateful missions? Can she assemble all the parts for the Legendary Divine Bicycle? One thing’s for sure, Dare never backs down… when it’s time to deliver. If you’re not familiar with LINE Webtoon, you should be! It’s a digital platform for thousands of free webcomics, with several “Daily Featured” curated titles (of which Messenger is one) posted each day of the week. In addition, the “Discover” section allows indie creators to upload their own comics at their own schedule. Genres range from fantasy to slice-of-life to drama to adventure to super-hero to horror. Webtoon comics come from creators in every corner of the world, so there really is something for everyone. But mostly Messenger. And in case I forgot to mention it before, it’s FREE. 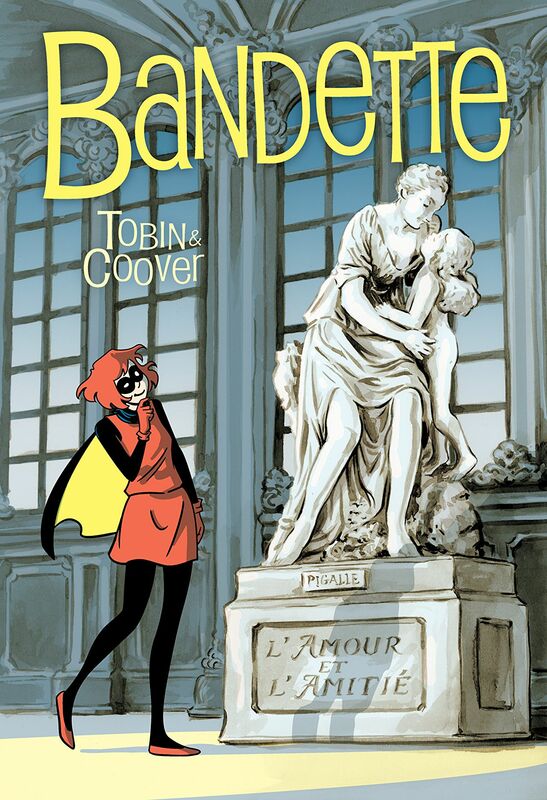 A new digital issue of Bandette has arrived on ComiXology! 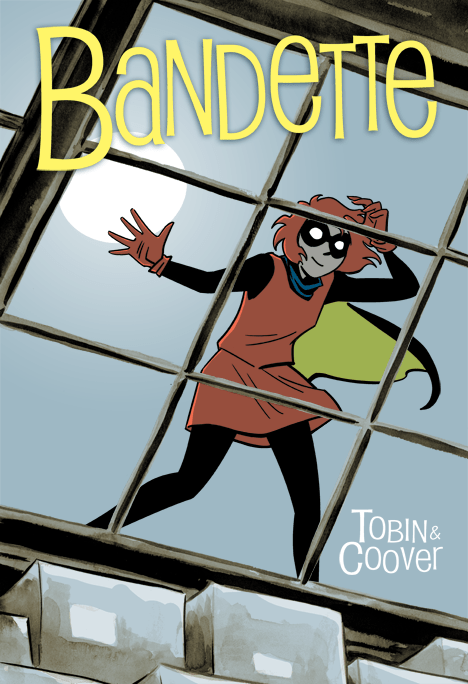 Bandette #17 sells on ComiXology for only 99¢, as do all 16 previous issues! Release day! 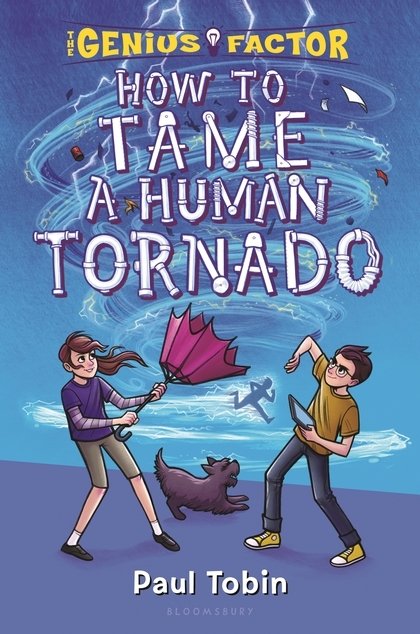 How To Tame A Human Tornado, the third volume in my Genius Factor series of novels for middle readers, is available now in hardcover and electronic book! The adventures continue for sixth-grade genius inventor Nate Bannister and his best friend Delphine in the third book of The Genius Factor series.It’s Friday the 13th again, and Nate hasn’t just done one really outrageous thing. He hasn’t even done THREE crazy things like normal. No, this time he’s gone and hidden his science vials full of his inventions throughout the town of Polt. He’s trying to avoid the Red Death Tea Society as always, who continue to hunt him down. They know where Nate lives now, so his only choice is to conceal his experiments in places they wouldn’t think to look. But things are about to go very, very wrong, including: an overwhelming amount of toads in Polt, zebras running wild, and lightning storms that won’t quit. Nate and Delphine have been in lots of trouble before, but this is their most disastrous Friday the 13th yet . . . and we can’t promise a happy ending quite yet. All the Genius Factor books feature illustrations throughout by Thierry Lafontaine! In additional Genius Factor news, book two, How To Outsmart A Billion Robot Bees, is now available in paperback! You can find the series at Bloomsbury.com, Amazon.com, or wherever you buy books! We’re pleased to announce that Banana Sunday will be available again from its original publisher, Oni Press, on October 24, 2018! Originally released in 2006, the new edition has been remastered with spectacular colors by Rian Sygh on Colleen Coover’s brilliant art, and it has also been revised and edited for today’s readers. Also, we’ve changed the writer’s credit to my own name, rather than the pseudonym Root Nibot. Volume 9 of the wildly popular Plants vs. Zombies graphic novels is available in a comic shop near you, as of Wednesday, February 14, 2018! Coming to other booksellers on February 27! Dr. Zomboss erroneously believes that all humans hold a secret desire to run away and join the circus, so he aims to use his newly created ”Big Z’s Adequately Amazing Flytrap Circus” to lure Neighborville’s citizens to their doom! Once plant-friendly neighborhood defenders Nate and Patrice infiltrate his show, though, Ringmaster Zomboss and his hapless zombies are in for a garden-ful of trouble! 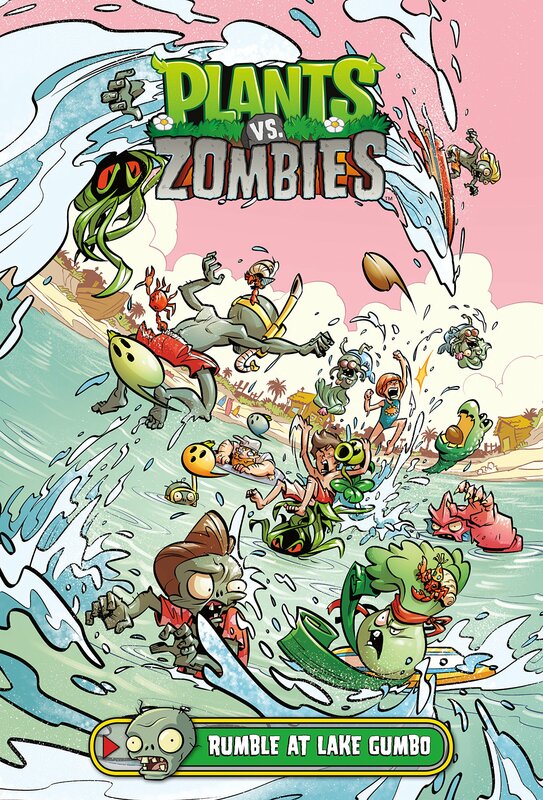 Plants vs. Zombies: The Greatest Show Unearthed is written by Paul Tobin, with art by Jacob Chabot and colors by Matt J. Rainwater! In comic shops today, October 11! 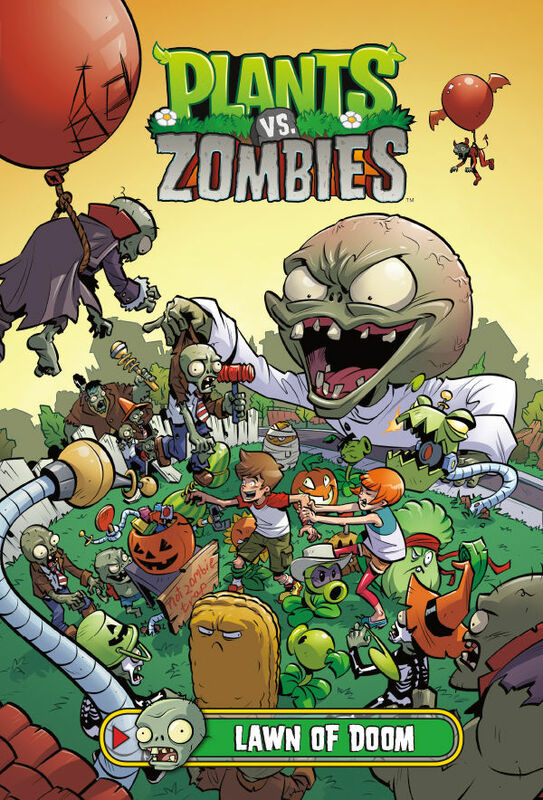 A new stand-alone hardcover volume of Plants Vs. Zombies comics just in time for Halloween! Halloween in Neighborville is weird enough, but now Zomboss and his zombie army want to turn the holiday into their own scarier Lawn of Doom celebration! With Zomboss filling everyone’s yards with traps and special zombies, Crazy Dave, Patrice, Nate, and a batch of brave, boisterous plants fight back in contests of best tricks, best treats, and best costumes! Written by Paul Tobin; art by Ron Chan and Matthew J. Rainwater! Hitting comic shops Wednesday, October 4! Three hardcover volumes in one set! Collecting three Plants vs. Zombies graphic novels into one deluxe boxed set, complete with an exclusive double-sided poster! Hit the road with Petal to the Metal as the plants and zombies compete in a race to save Neighborville. Explore Zomboss’ secret underground lair full of mysteries and devious plans in Boom Boom Mushroom, and finally the rivalry heats up as Crazy Dave, Zomboss, and their plant and zombie cohorts compete in a Battle Extravagonzo! 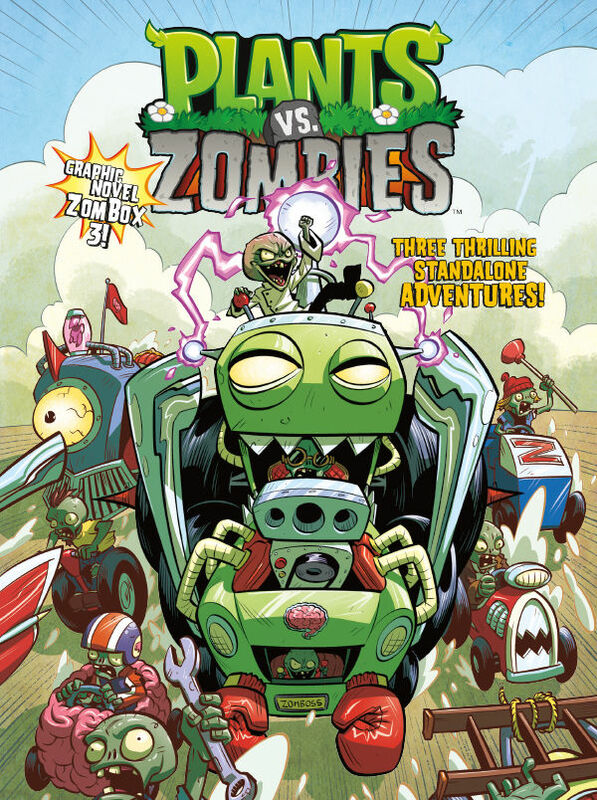 ALSO: A brand new volume of Plants Vs. Zombies, Volume 8: Lawn Of Doom, comes out next week, October 11! 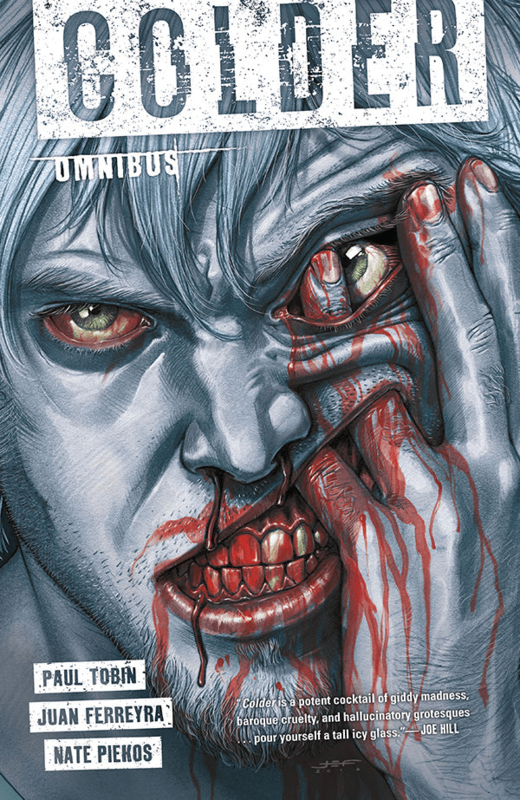 The complete omnibus edition on my Juan Ferreyra‘s horror series Colder is now available in comic shops! That’s all three volumes — over 400 pages — in one for only $24.99! From Dark Horse Comics. The files for Bandette digital episode 16 have been uploaded and are being processed for release by ComiXology! Scheduled release date is October 18!